I spent a lot of the weekend painting the house but somehow still managed to sneak in forging a new knife. 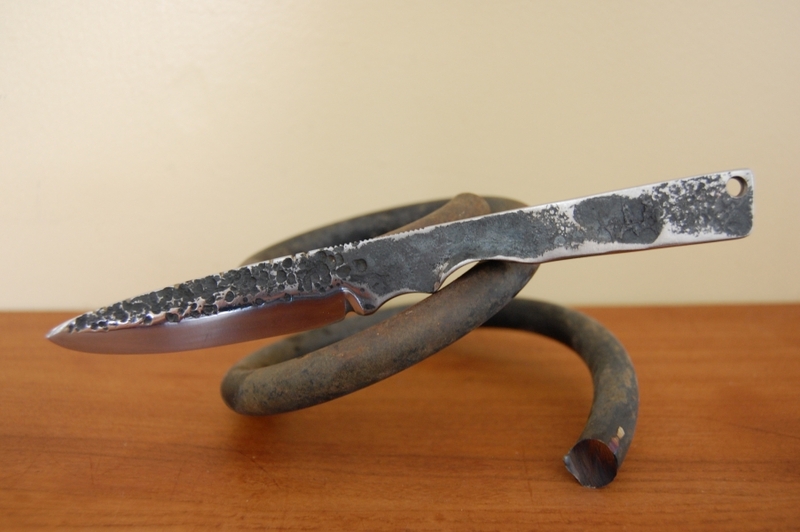 I have made several stock reduction (grind away everything but a knife) knives. I wanted to try making one mostly in the forge. This is the knife sitting on a piece of the spring that it was made of. In this picture, the knife is shaped but not yet hardened and tempered. Here is the knife completed. I hardened and tempered it then blued the entire thing with gun blue. I wanted it to keep that blackish look it has right out of the quenching oil. This was a great project and I learned a ton. My blacksmith friend is teaching me more bit by bit. I am trying hard to soak it all in. 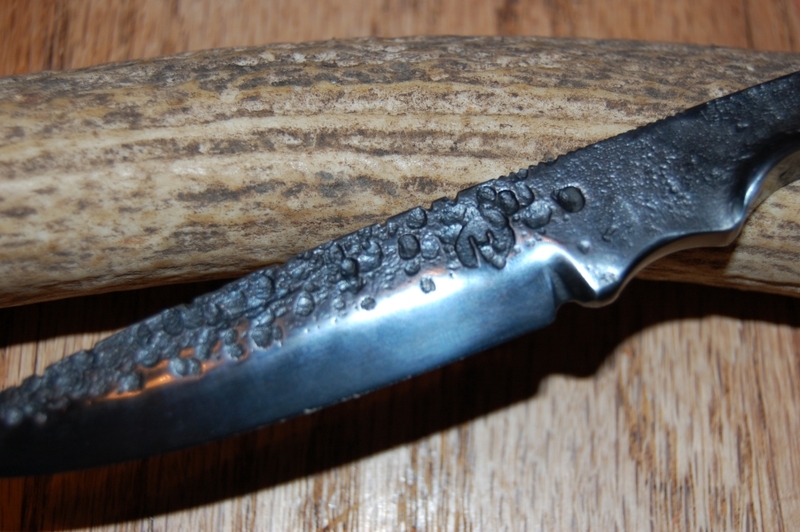 This entry was posted on August 30, 2010 at 2:24 am and is filed under Blacksmithing, Forging, Gear Making, Hammers, knifemaking, metalwork, Tool Making, Uncategorized. You can follow any responses to this entry through the RSS 2.0 feed. You can leave a response, or trackback from your own site. nice texture, its nice to see someone else who likes the look of old steel. Thanks Steve. I like the birdhouse on your site – is that a lamp? i really like that knife question how did you make that hammer id love to try that i dont weld so if you,d tell me were i can tell someone at a shop how to THANKS!! There was nothing fancy done, I just tapped the end with a wire welder to make the junk. It should take someone with a welder about 2 minutes to do. Very nice knife, I just started smithing myself and love it. I have made a couple blades and am planning to use antler for handles. 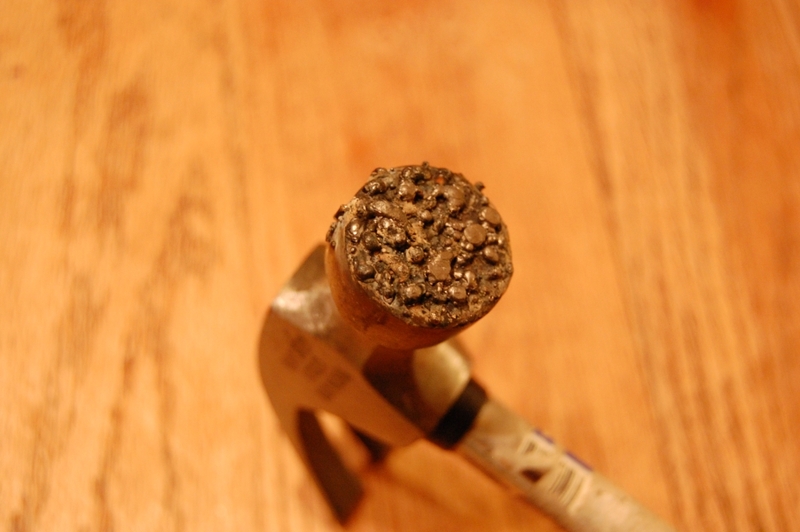 I like the hammer with a texture idea, I may have to borrow that one myself in the future. Have fun with hot metal! Thanks Wicker. 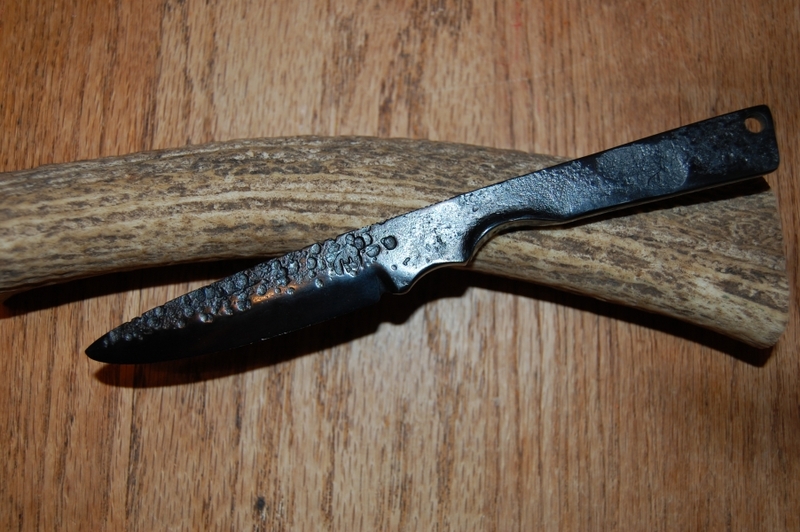 I would love to see a pic of the antler handled knife when you get it done. I really like that rustic look. My question is: At what stage of making this knife did you apply the hammer? I put the texturing on just before packing the edge on the forge. After I got the edge packed, I straightened with a wooden mallet so I wouldn’t lose all the texturing.